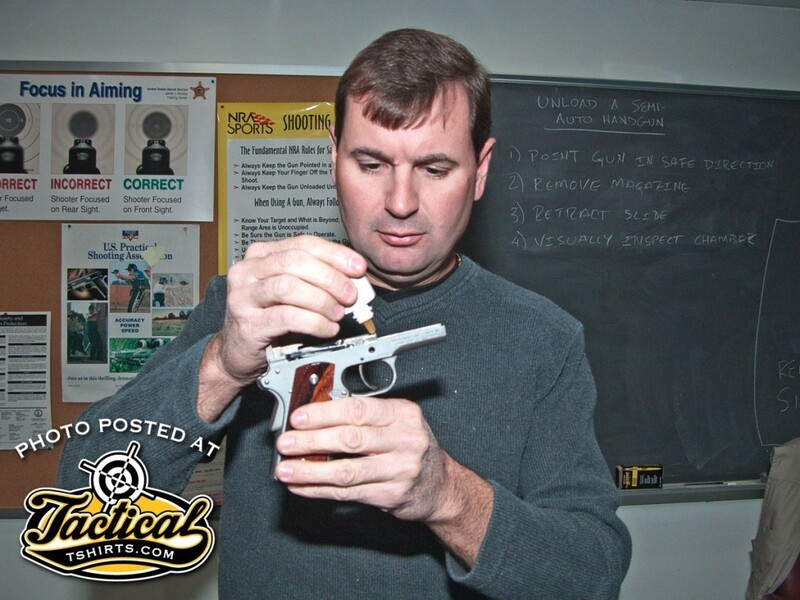 Todd Jarrett is a National and World Practical Shooting Champion who holds four World titles, nine National titles and has won more than 100 Area and Regional championships and countless other action shooting events. 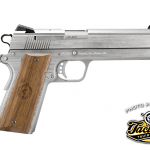 He is the only USPSA Triple Crown Winner in the world, and holds USPSA National Titles in four divisions: Open, Limited, Production and Limited-10. 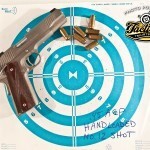 In other words, the man knows his stuff when it comes to shooting a handgun. One interesting thing I’ve learned from knowing Todd and other top competitors in practical pistol shooting is that at their level, the pistol is the great equalizer. 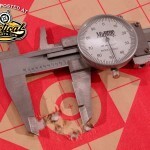 Top competitors all shoot about as well as each other, and often the difference between winning and not is simply a matter of keeping your pistol running reliably. 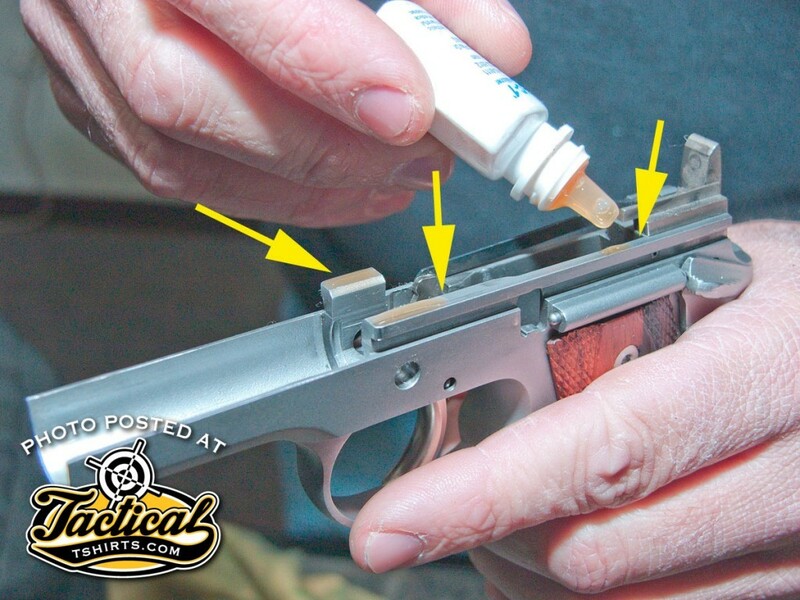 Todd was kind enough to share with me how he lubes his 1911 for top reliability in a competition, and it’s pretty simple. When selecting a lubricant, he puts a drop of it between his finger and thumb and then pulls them apart repeatedly. 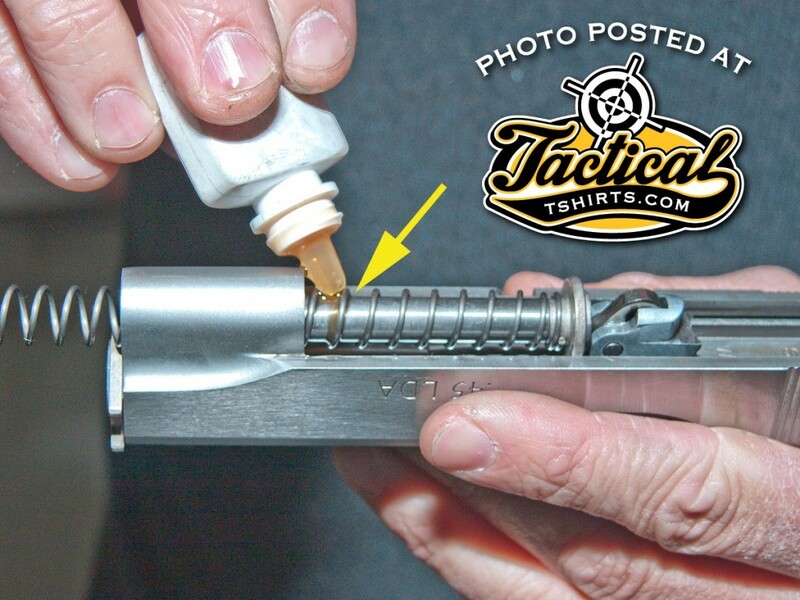 He’s looking to make sure there’s just a little bit of “stretch” in the oil, which to him indicates that the lube will stay where it’s put and not simply run out from the gun. His lubricating points are pretty basic. One drop on the top of each frame rail, one drop inside the front and rear of each slide rail, and a couple along the inside of the slide where the hammer drags. 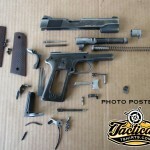 If his gun has a full-length guide rod, the spring gets a drop of oil, and he puts a drop on the barrel hood, each barrel locking lug, and another near the muzzle to lubricate the barrel/bushing contact. As you can see, there are several points to lube, but the amounts are very sparing. 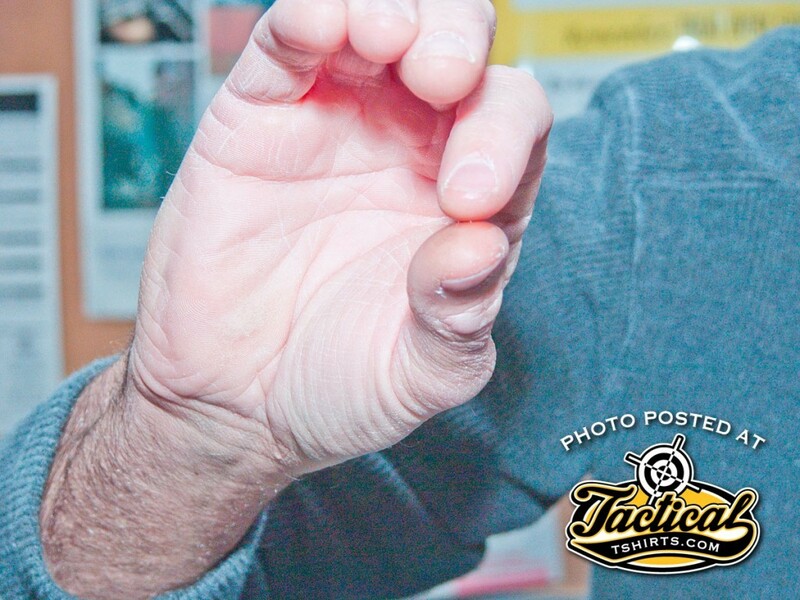 Todd Jarrett checks a lubricant by “stretching” it between his thumb and finger. He’s looking for a little bit of stretch, which indicates the lube will stay where it’s applied. Todd Jarrett is a top-level competitor in practical pistol shooting. Keeping his guns running reliably is often the one thing that separates him from another top competitor. 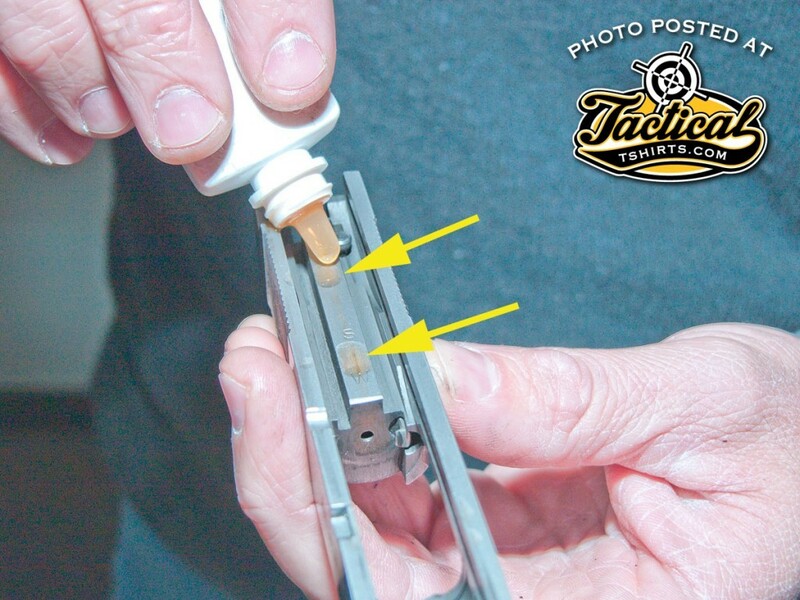 Jarrett applies one drop of oil to the top of each frame rail. 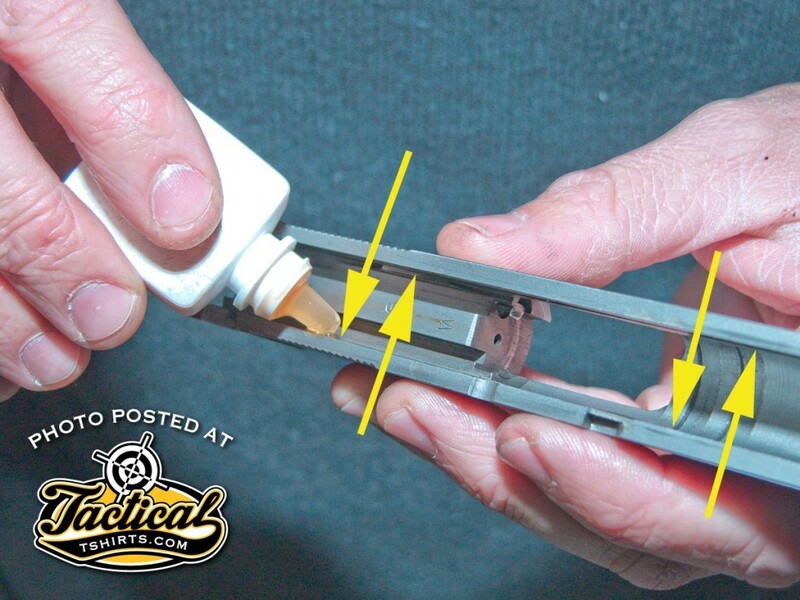 In contrast to the frame rails, Jarrett lubricates inside the slide rails. The hammer face is designed to drag on this part of the slide. A couple drops of lubricant here helps it glide. Barrel lugs and the hood are lubed because they rub against the frame. 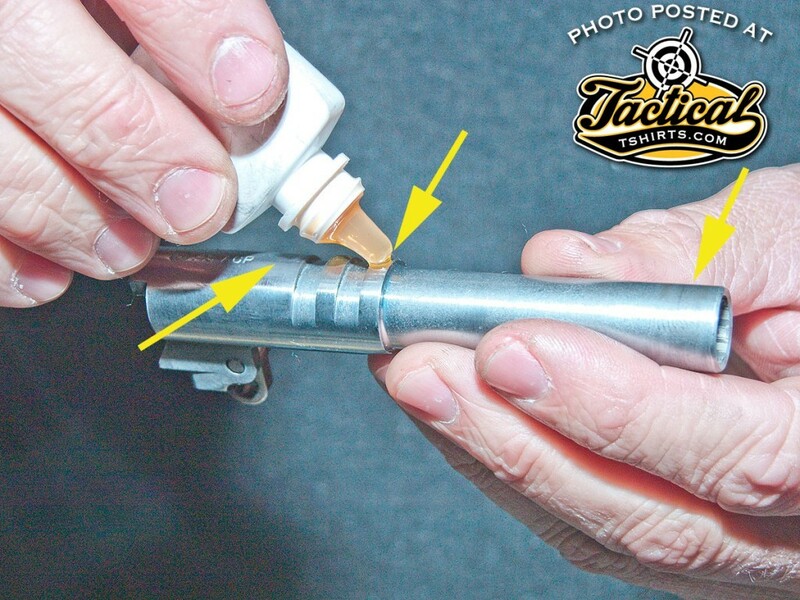 A drop of oil near the muzzle lubricates the contact between barrel and bushing. 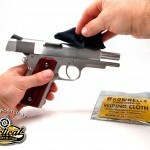 If his guns have a full-length guide rod, Jarrett gives the recoil spring a drop of lube.